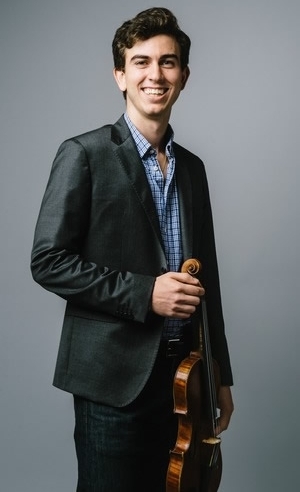 As a violinist, Niccoló has performed in concerts across the U.S. and Europe, including appearances in Switzerland, Norway, the Czech Republic, and as featured soloist with the National Orchestra of Romania in Italy. He also performs regularly with the Chamber Orchestra of the Triangle in Durham, North Carolina. Niccoló received his Bachelor's degree in Violin Performance from Indiana, where he studied with Mimi Zweig. He completed his Master’s Degree at Rice University, where he was awarded the Vicki West Prize to study with Kathleen Winkler. An accomplished (former) ballet dancer, Niccoló still likes to go out dancing for fun. He also enjoys playing tennis, cheering for his favorite soccer team (Juventus FC), and exploring new cuisines.